Submitted by Jason Horton on Jul. 7, 2016.. 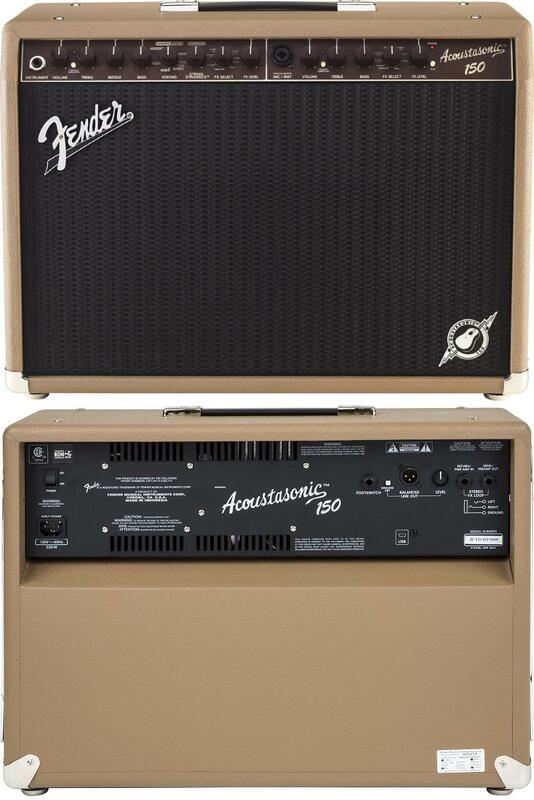 The Acoustasonic 150 is Fender’s top-line acoustic amp, perfect for the acoustic guitarist who needs a loud, versatile and flexible amp loaded with useful and tonally innovative features. A lightweight amp that produces remarkable resonance and crystal clarity, it features a special voicing control that lets any guitar simulate the sound of parlor, dreadnought and jumbo acoustics. And for acoustic players who double on electric guitar, the voicing control also has blackface, tweed and British amp settings that make a second amp just for electric guitar unnecessary.